As you've probably read in other posts here, I'm very worried that distribution and notifications about my content is in practice intermediated by Facebook, Twitter etc. Browser-based push notifications, may be a solution to this. I haven't dug into the specification and implementation details of each, but it looks like both Chrome and Safari support this kind of notifications. Check Safari Push Notifications and Google Cloud Messaging for details. To try the functionality, I installed Roost in my blog. As only Safari is currently supported, I will focus on the Safari/OS X experience. Users who visit your pages are asked if they would like to receive push notifications or not. Answering "Allow" is like subscribing to the specific website: the site can send them notifications that will appear in their notification center just like app notifications. 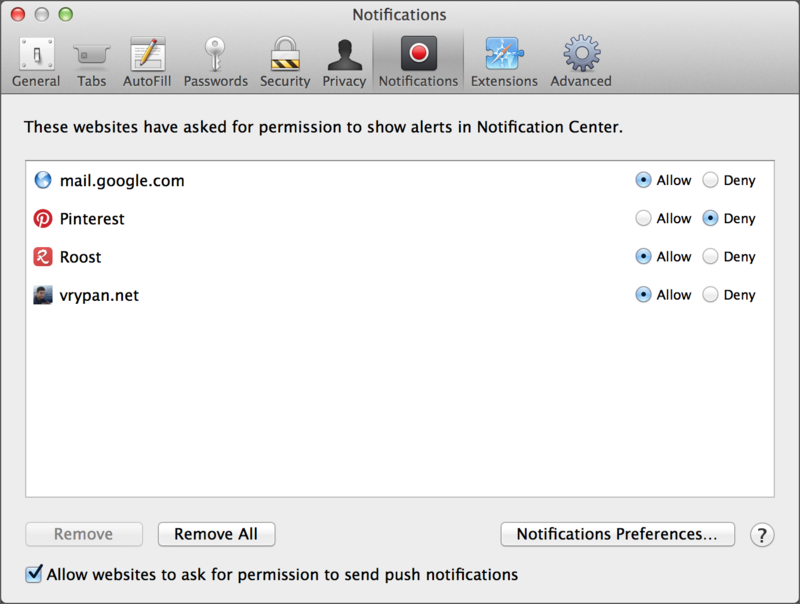 You can turn on or off notifications from a website from your Safari preferences. If you used Safari to visit this page, you should have already been asked if you would like to allow vrypan.net to send you notifications --and I hope you said "Allow"! 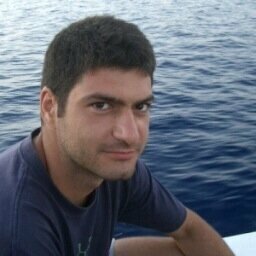 There is also a REST API, that allows you to send notifications to all or some of the users. And you can turn "RSS Auto-polling" on which will (to my understanding) send notifications when a new item appears in your RSS feed -I haven't turned this on, I want to see how users feel about the idea of push notifications from my blog. Overall, I'm kind of excited about website push notifications, without the need for a special app and Roost seems like a great tool to explore the possibilities without investing in development. 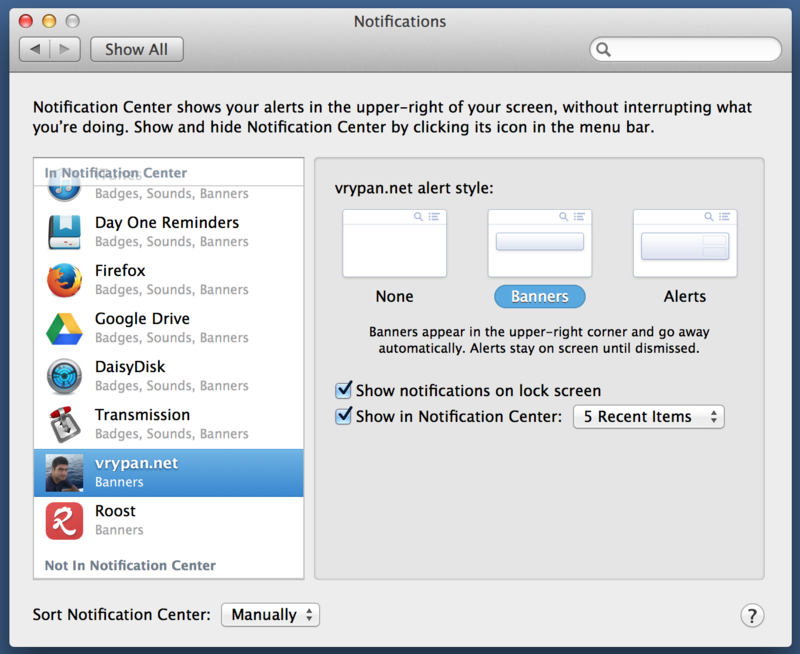 Hey, if you are viewing this page in Safari, but did not Allow notifications when asked, go to Safari > Preferences > Notifications and click "Allow" next to vrypan.net!